With the tagline “Crafted to Inspire. Turbocharged to Deliver,” the 2018 Mazda 6 has big shoes to fill. But, powerful engine options, high-tech interior features and safety systems, and incredible flexibility for a sedan give the 2018 Mazda6 a major competitive edge over its class competitors. Read on to learn more about the 2018 Mazda6’s pricing, trim levels, specifications, and customer reviews to see if it’s the right choice for your automotive needs at Triple J Auto today, proudly serving the Guam community. Grand Touring: Starting at $29,200. Grand Touring Reserve: Starting at $31,700. 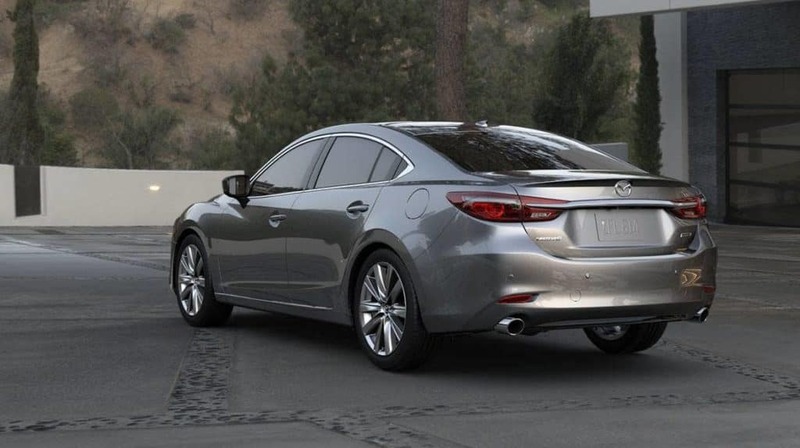 2018 Mazda6 Sport: The baseline 2018 Mazda6 features a great balance between pricing and features thanks to its Blind Spot Monitoring system, LED headlights, 25 EPA-estimated highway MPG, and 2.5L SKYACTIV®-G 4-cylinder engine. 2018 Mazda6 Touring: The next step up from Sport, Touring offers 19-inch aluminum-alloy wheels and Mazda Radar Cruise Control with Stop & Go technology. 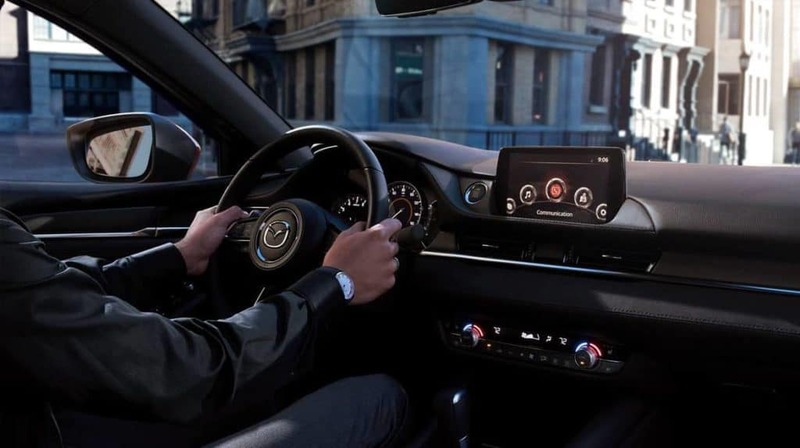 2018 Mazda6 Grand Touring: Enjoy premium entertainment and performance thanks to the Bose® 11-speaker sound system and Dynamic Pressure Turbocharged engine. 2018 Mazda6 Grand Touring Reserve: With leather-trimmed sport seats and an Active Driving Display, the Grand Touring Reserve is sure to impress. 2018 Mazda6 Signature: The ultimate Mazda6 experience. Signature delivers an iconic gunmetal front grille and ventilated Nappa leather seats for a premium automotive journey. SKYACTIV®-G 2.5-liter DOHC 16-valve 4-cylinder with VVT: 187 hp @ 6,000 rpm and 186 lb-ft @ 4,000 rpm. 24 / 33 /27 (city / highway / combined MPG) (manual) and 26 / 35 / 29 (city / highway / combined MPG) (automatic). SKYACTIV®-G 2.5T Dynamic Pressure Turbo DOHC 16-valve 4-cylinder with VVT: 250 hp @ 5,000 rpm (premium octane fuel). 23 / 31 / 26 (city / highway / combined MPG) (automatic). • KBB: 8.8/10 expert rating. 9.2/10 consumer rating. • Car and Driver: 4.5 star rating. Editors’ Choice.